A stream renews itself every ten miles. 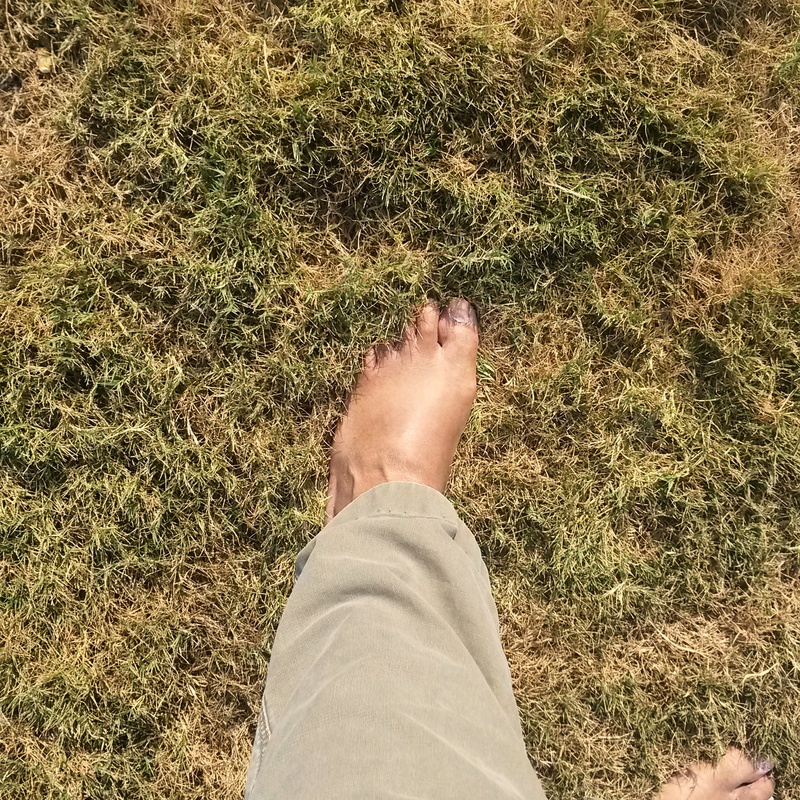 This morning I stood out on my front lawn barefoot for five minutes. That is something that I have not done in a really long time.  I’m doing my i-research (watching videos, reading PDFs) on earthing and I’ll be making adjustments to what I am doing to spend more time connected to ground. 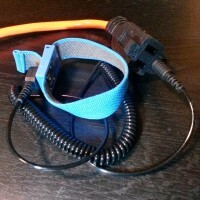 I cobbled together an earthing strap, which is a grounding strap from an electronics store connected to an extension cord which has the power prongs broken off of it. I’ve been sleeping with this on my arm for the last four nights and I’ve noticed an improvement in the quality of my sleep. I’m not getting up as often to use the bathroom, which combined with things like stress, anxiety, caffeine, and bad eating habits has had me living as an insomniac for a really long time. Most of the videos out there discuss the benefits of earthing. 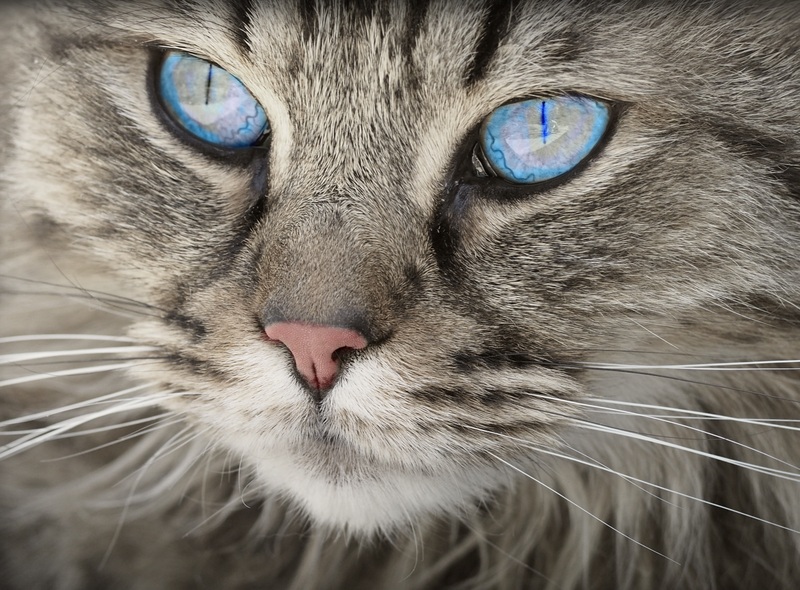 They tend to refer more to either spending time in direct contact with the earth or using some sort of pad or strap that is either connected to the ground port on an outlet or runs outside to a grounding pole. I may set up a direct ground line later on. There is a cable coming from outside that is no longer in use. I may cut it and the line through the wall from my bedroom. But I think I’ll wait until I buy or build a grounding pad. Among the videos talking up benefits I have found some references to negative effects. It seems that some newer buildings may be connected to something called ‘power company neutral.’ I’ll have to look into that more. I suspect it is some sort of circuitry method that allows the grounding function to occur without actually having the line go to ground. That means that the negative energy coming from the earth isn’t actually reaching you if your pad is connected to it. I also saw a video suggesting that in many cases even the ground is polluted with EMFs from there being so many houses in a particular area. When I was in college, the professor of the engineering class I took told us that “A stream renews itself every ten miles.” That means that years ago you could dump your waste into the river and since the factories were spread apart sufficiently, there was time for the water to recover. The problem is when we started having pollution occurring more times in that ten mile space. The same would go for electric fields. I don’t know what the square mileage is but if there are more fields in a certain space they don’t allow the field to dissipate. My house is 30 years old, so I am pretty sure the wiring has genuine ground wires and not this ‘neutral’ set up. I may have an electrician come over and check it for me. I’m going to look for more opportunities to kick off the shoes and socks and walk around on the ground. I also want to do a better job of recording my stats so I can monitor my health improvements. I dozed off in a chair a while back and started dreaming. In the dream I cut my left index finger with a serrated knife. I don’t remember seeing any blood, just the cut. I woke up a few seconds later and I could feel the sting from the phantom cut. It only lasted a few seconds, but the memory has stayed with me. Most of my dreams fade really quickly. I may remember a specific image that was significant in the dream. I can’t fly. So I decided to quit parroting and think for my self. This started out as a discussion of a few thoughts about nationalism in America. Then as I thought more about it, I realized I used to be one. I was an unquestioning nationalistic Republican for nearly twenty years and during that time I was also an evangelical Christian. I am no longer either. When I was younger I was quite susceptible to ideas without giving them much consideration. I suspect I am not alone in that. 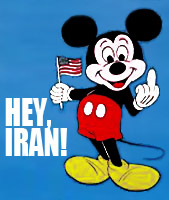 In late 1979 when the hostage situation happened, posters, flyers, bumperstickers, and buttons featuring Mickey Mouse giving the finger, the American flag, and the words, “HEY IRAN!” were peppered across the country. I was a junior in high school then and we passed around those flyers for days. One of our history teachers had done some study of the situation and background, and he gave us a special lecture on it. We didn’t listen. Our heads were full of “They can’t do that to us! We’re America!” Then we moved on. And Lennon got shot, and Carter lost the 1980 election to Reagan, and Reagan got shot, and Sadat got shot, and so forth. The point is, I didn’t learn anything for a long, long time. For years I kept supporting what I was supposed to support, opposing what I was supposed to oppose, getting angry when I was supposed to be, not thinking, and not questioning. 9/11 and the beginning of the Iraq war in 2003 helped start to break the spell. It’s taken several years and there are still little bits and pieces, thoughts and ideas that come up to be dealt with. Brainwashing and propaganda. It’s like dealing with a hex that is also a cancer. Cancers have a habit of metastasizing. They go into remission, and pop up somewhere else. I will probably be searching, researching, rethinking, and reexamining my beliefs and philosophy for the rest of my life. People who follow alternative media use the word ‘Awake’ quite a bit. Well I’m ‘awake,’ but I have a habit of nodding off from time to time. My nationalism exists/-ed in the form of right-wing conservatism, which I adopted from spending a lot of time around folks in the Republican Party in, and after college. I believed we were the good guys…that our cause was right…that I was casting God’s vote when I went to the polls. I don’t think that way anymore, for the most part. But as I said a minute ago, it has a cancer-like quality to it. There are little things that come up and I have to deal with them. American nationalists don’t like having our meddling in the affairs of other nations referred to as imperialism. They like to think that whatever our soldiers are being sent to do in these countries is some sort of mission from God. It’s as though we’re Israelites being sent to wipe out the Amalekites or some other ‘-ites’ in the Old Testament. Yes, the situations are “more complicated” than that, but I’m talking about the overall attitudes towards the policies, not their details. I’ve even heard religious radio hosts say that the reason we have been ‘successful’ in our ‘campaigns’ is because “God is on our side.” It’s really nothing more than religious, nationalistic jingoism. The ‘Warrior Christ’ whom many think leads our troops into battle does not exist. President Bush wanted to attack Iran. He talked about it during his second term and possibly earlier than that, saying that ‘we don’t even want them to have the knowledge’ of how to enrich uranium or design warheads. As we’ve moved further beyond his presidency, and as a few of the un-reneged Obama promises have started to take shape, i.e. troop withdrawals from Iraq and Afghanistan, the nationalists have become more aggressive regarding Iran. Now the logic, such as it is, is never consistent regarding a country developing nuclear technology. We didn’t attack Pakistan or India when they developed nukes. There was no talk about blowing up enrichment facilities or my personal favorite, turning their countries into sheets of glass. You would think, from listening to nationalist rhetoric, that every person in any of the countries we’ve attacked is personally guilty of what their governments are doing, and that’s probably what they really think. If you point out how Kermit Roosevelt, a relative of FDR, was a card-carrying agent of the CIA and worked in the early 1950s to overthrow the recently popularly elected Iranian prime minister Mohammad Mossadegh, and that maybe that and the flow of the oil dollars away from the Iranian people might have something to do with how many there feel about America, nationalists don’t want to hear it. They don’t want to hear criticism of any kind. We’re not to question. There is to be no dissent. They refer to it as “bashing” America. Pointing out mistakes isn’t bashing. Its purpose is to encourage some humility so that the person or group will stop making the errors. Whenever we’ve moved into a country and are told that we’re ‘spreading democracy,’ I’ve said, “It’s their country!” That’s because I’ve come to believe in the sovereignty of other nations. 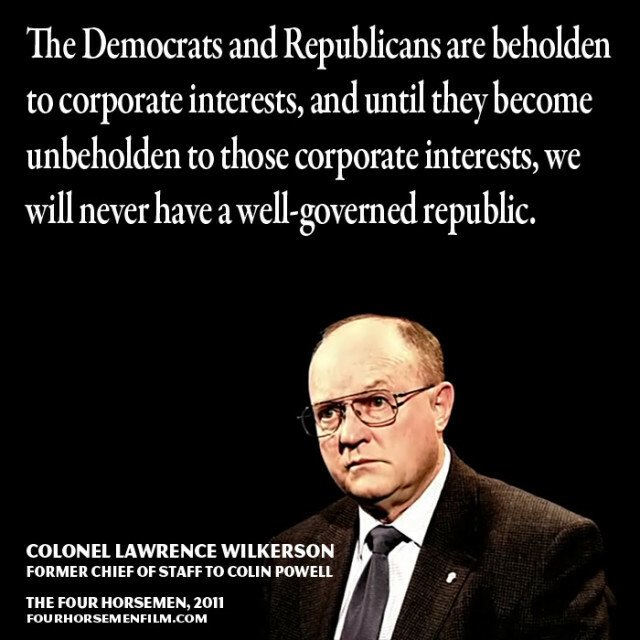 I do not support the imperialist and interventionist policies of the United States, nor do I support the wars and occupations. Whatever actions the politicians take, whether it is in Iran, Syria, or in whatever other countries are on the globalists’ checklists, it is not being done in my name, even if all I can do is to state that, even if money regularly comes out of my checks to pay for it. When I was four or five my grandmother told me about how she had warned my uncle several times to not throw rocks at a wasp nest somewhere around their house. He didn’t listen, and eventually he got stung. I did listen. I’ve had to attack wasp nests around my house on a few occasions but I’ve been very careful to avoid the insects. The same goes, or went for bees. Yesterday morning I experienced my first bee-sting. I went outside in PJs to load the car before going to work and one got under my t-shirt and BAM! I ran into the house and started getting undressed to check the sting area and heard a loud buzzing sound for about a second. Not sure where the bee took its last flight to, but it’s somewhere in my room apparently. 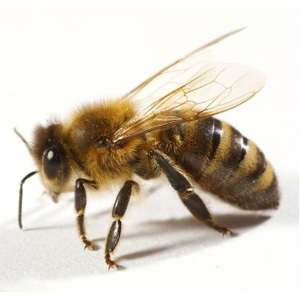 After hearing horror stories about bee stings, and Africanized killer bees, I was scared. I’m not allergic, at least not to that one. It left a small red spot about 1/8″ around the stinger. I used some Curad Silver antimicrobial solution on the area. Fifty-two years is a pretty good record, I guess. This past Saturday was the first time I’ve walked around on the ground barefoot probably in over 20 years. I’m not a swimmer and I’m usually wearing shoes everywhere. 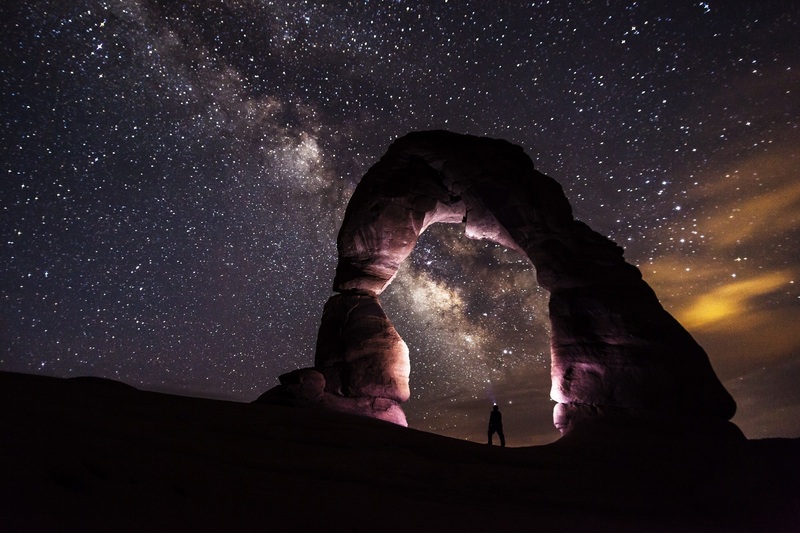 From what I understand from a few podcasts and videos is that this “detachment” from the planet has our energy fields being perturbed by the wiring in buildings, static electricity, and electric fields from whatever devices we spend time around. All that is happening without being reset. The way to reset it is to be in contact with the earth.